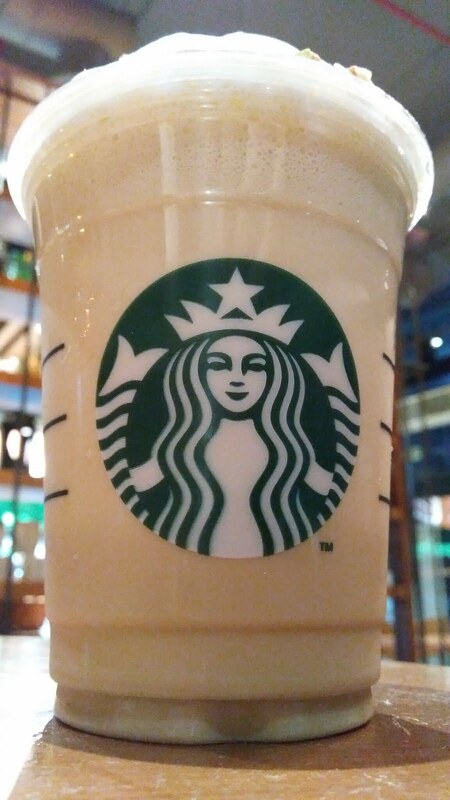 The Roasted Nut Triple Mocha – Starbucks India — Reviewed! 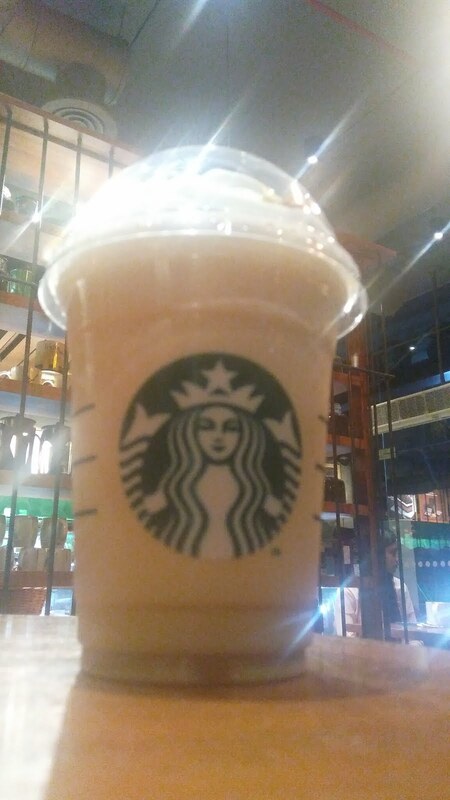 'Life begins after Coffee' and that too if that is from Starbucks which never cease to amaze me with their delightful offerings. 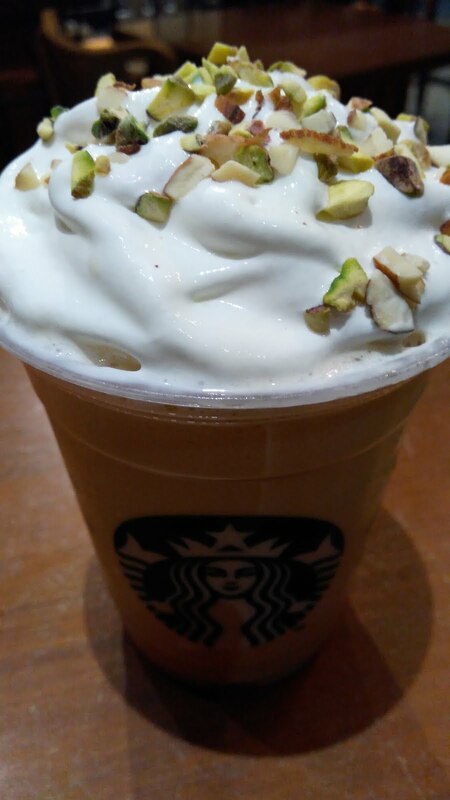 Their new innovation – The Roasted Nut Triple Mocha is truly divine. 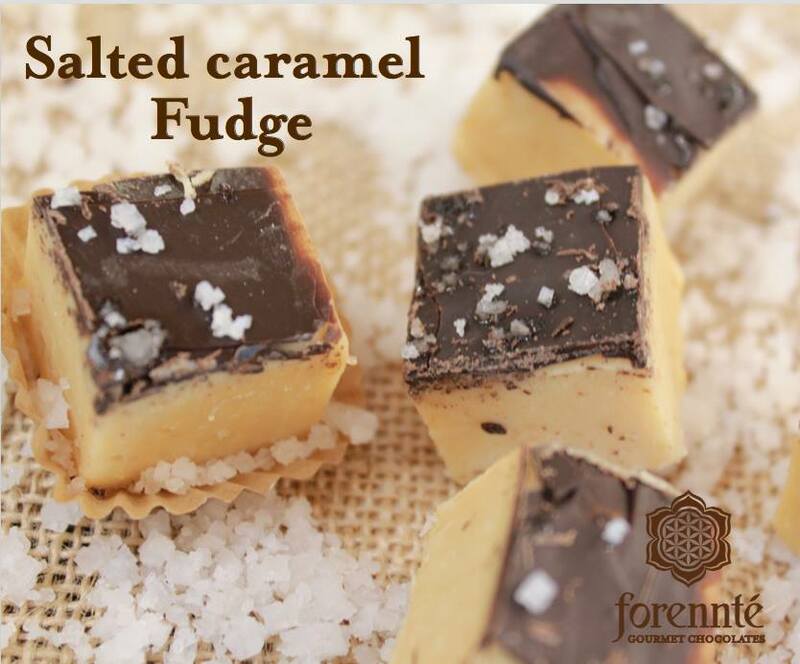 It has every ingredient to make your mouth fill with the divine taste. Every sip is pure indulgence. Bursting with flavours of almond, pistachio, white chocolate and coffee, this beverage captures all the festive flavors of the season. There’s delight in every bite, be it the crunch of dry fruits or the froth of coffee, this flavour is one of my favourite till date. The slight sweetness with the hint of honey and crumbles of pistachios makes it a perfect drink for this season. I am sure The Roasted Nut Triple Mocha is a hit! I am going there again, hope to see you too! Do try and share your experiences in the comments section. Would love to read from you. Keep reading, Keep drinking coffee! One of its kind restaurants in Pune, which I would like to visit again and again is Santè Spa Cuisine. A pure vegetarian and organic cafe located in a quiet lane of Koregaon Park, just opp the Osha Meditation Ashram, is just so serene. Sonal Barmecha, a fitness freak herself, started the place out of passion for serving healthy and fresh dishes which are balanced in taste and health. Ambience: Elegantly and tastefully done interiors. 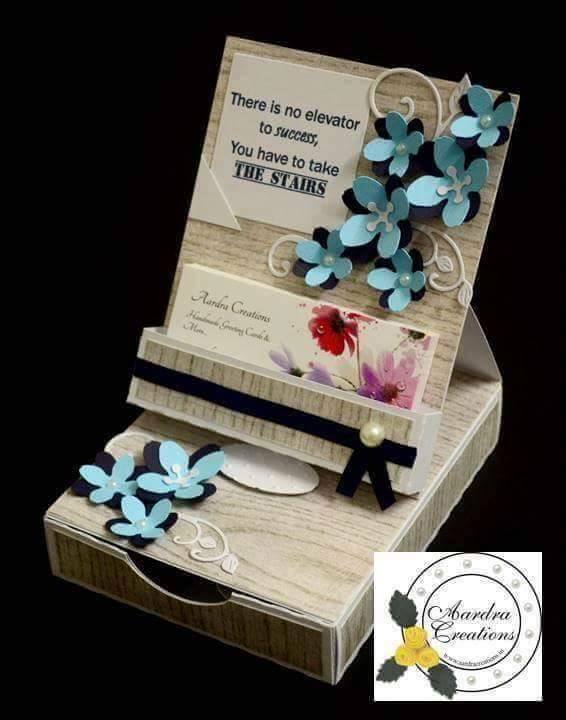 Small wooden planters and wooden planks give it a very earthy feeling. The restaurant has interior and outdoor seating as well. Outdoor is my favourite area with the fresh breeze and delish food. Live Kitchen is also one of the attractions. 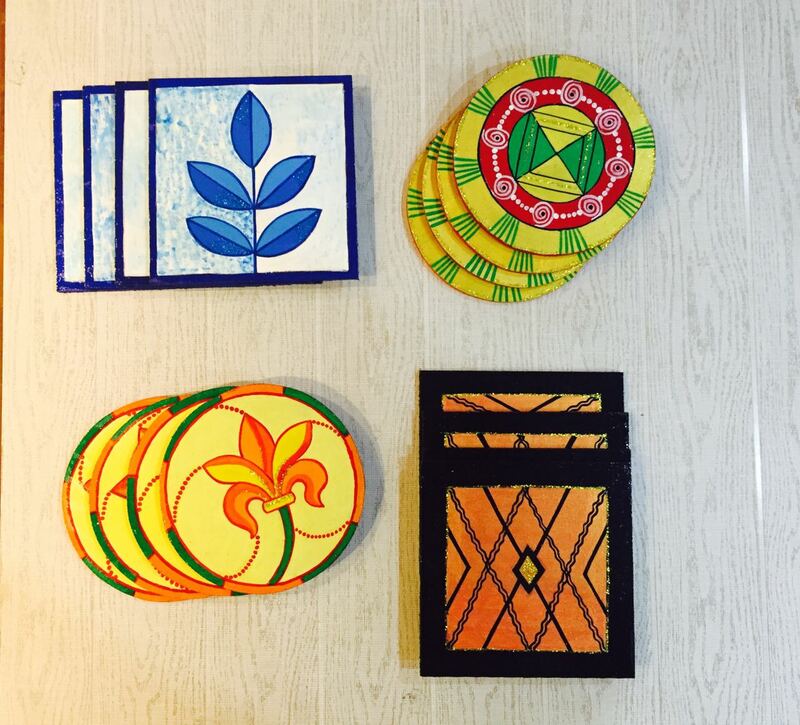 Everything from recycled corrugated lamp shades, copper glasses, green sofas to neem wood cutlery, takes you more towards nature. 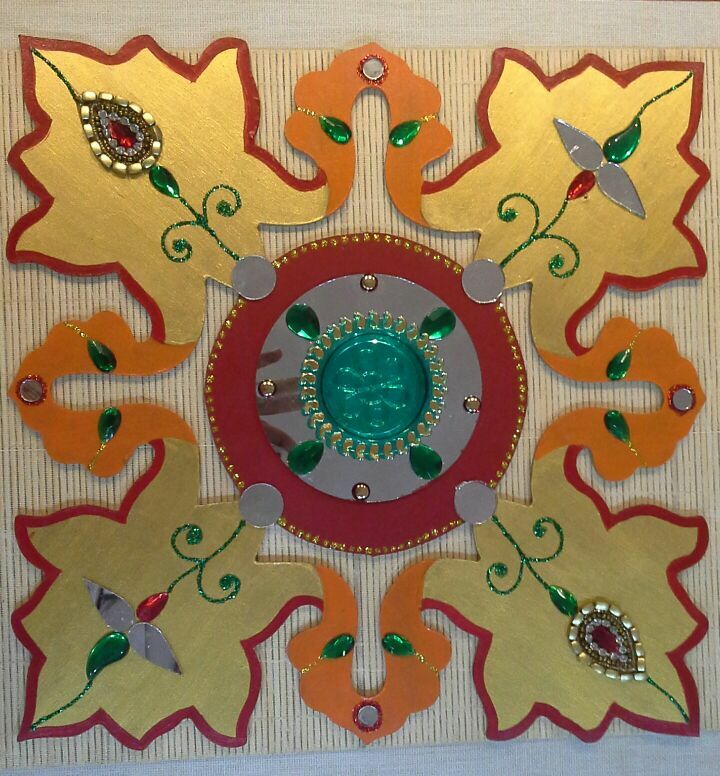 I liked the fact, that neem wood is used for cutlery as it is anti-bacterial and eco-friendly. Each table has a small wheatgreass plant! A big beautiful Gautam Buddha painting on the wall is tranquil. Food: Each dish listed on the menu is crafted with the highest quality ingredients put together with the creativity and the imagination. Menu includes Hearty breakfast of Muesli, Oatmeal Pancakes, Organic Oats, Sandwiches and more. Salads, Soups, Grills, Beverages, Desserts, pick anything and you won't regret it. We started with the Anti-oxidizing energetic beverage made with a delicious concoction of Spinach, Mint and Bottlegourd. As, I mentioned, each dish served has the right component which compliments each other. With the slight hint of Mint, this power packed drink was one of my favourite. 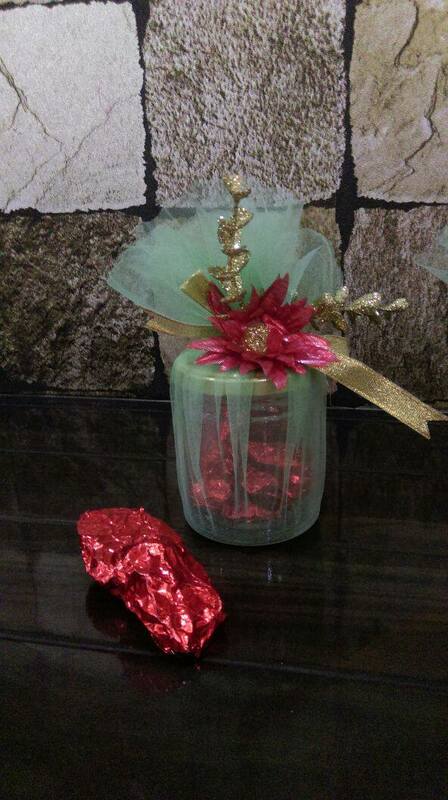 Another one, I tried was a refreshing one Apple Beetroot and Carrot i.e ABC. Every ingredient was balanced and was worth trying. We had Spinach and Beetroot Hummus served with whole wheat khakra chips and extra virgin olive oil. Loved the vibrant and colorful beetroot one more, though both of them had distinct flavours. Such a healthy choice for starters! Fresh from the garden we had Spaghetti of vegetables. Shaved or grated vegetables looked colorful and yummy. It was topped with khakra chips, vinaigrette and fenugreek leaves to give it a health punch. Bajra Risotto, yes, you read that right! Cheesy risotto, full of nourishment of moong, spinach and green beans was served on a banana leaf. It was one of the best risotto I have had in recent times. Farm Fresh Pizza with thin gluten free ragi crust was baked perfectly with those colorful toppings of olives, jalapenos, sun dried tomatoes, and loads of veggies. Taste couldn't be better and best part you can have good amount of guilt-free pizza. Not only the Pizza was guiltless but also the icecream. 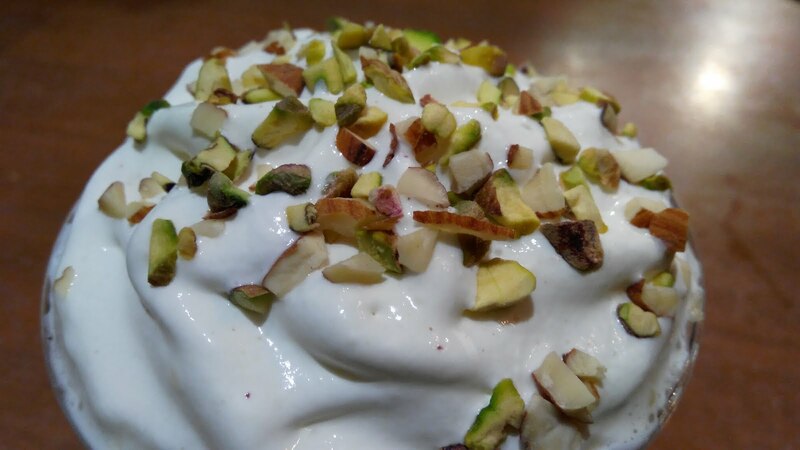 Yes, the Muesli Almond Ice cream. Rich, healthy, nutritious dessert served with Valrhona chocolate pie made a delish combo. The crunch of muesli and slivered almonds along with gooey chocolate scoop was one of the best guilt-free desserts. Post meal, you would just want to sit and enjoy the ambience. If so, you can enjoy a coffee in their european style outdoor area near kitchen where one can have a sip along with your favourite book. 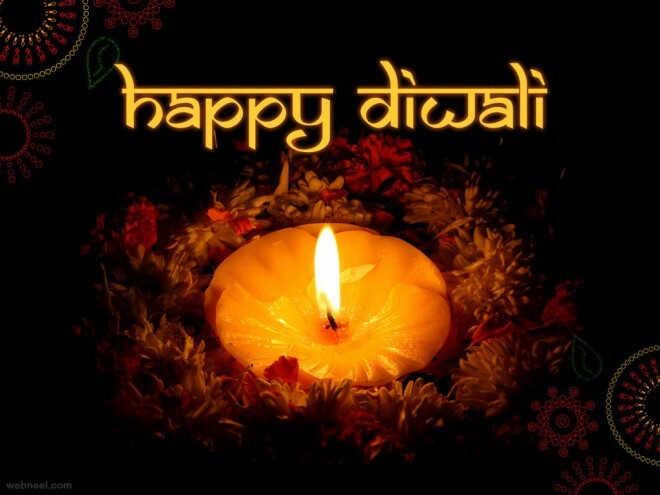 Hope you guys enjoy the time and make your visit a memorable one. 1. 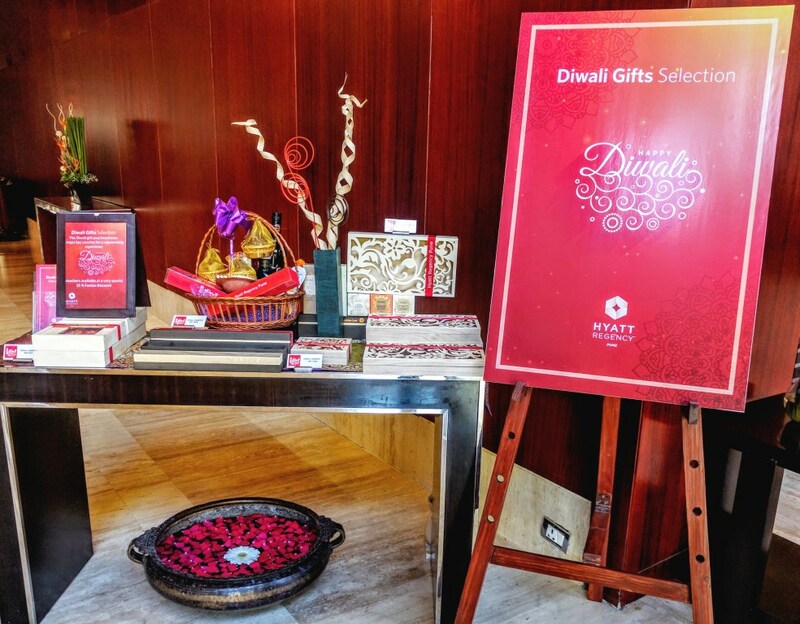 Hyatt Regency: Choose from a selection of Indian sweets & dry fruits, gourmet chocolates, authentic savory snacks along with a variety of mini gift items to create your very own customised Diwali Hamper! 3. 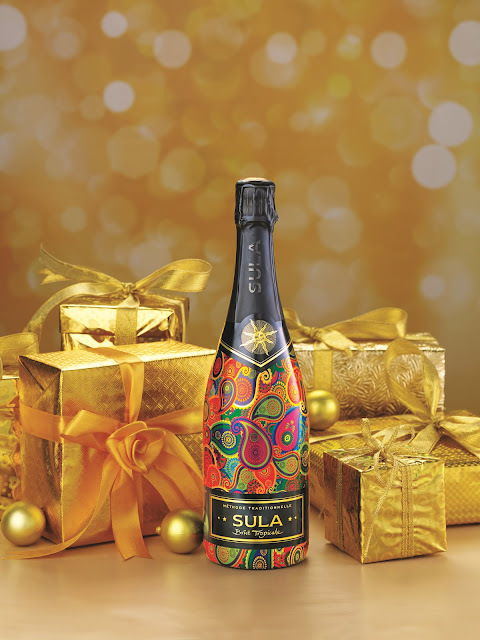 Sula Wines: Breaking the banality of usual gifting, moving away from sweets on to more interesting gift like a bottle of wine is a good idea this season. Sula Vineyards is at the forefront of the Indian wine revolution. 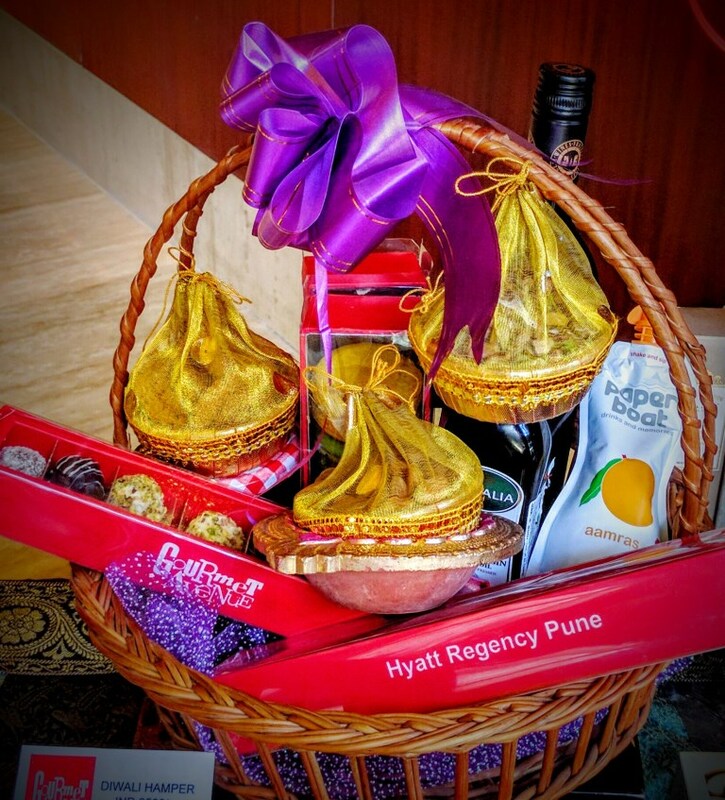 Wines are made from grapes grown at their Nashik and Dindori estates, as well as from those sourced from local farmers operating under the guidance of Sula’s team of experts. One can select from range of collections of Red, White, Rose, Sparkling, Dessert, Grape Brandy and Grape seed oil. For general enquires, you can reach them at 0253 3027777 / 9970090010. 4. 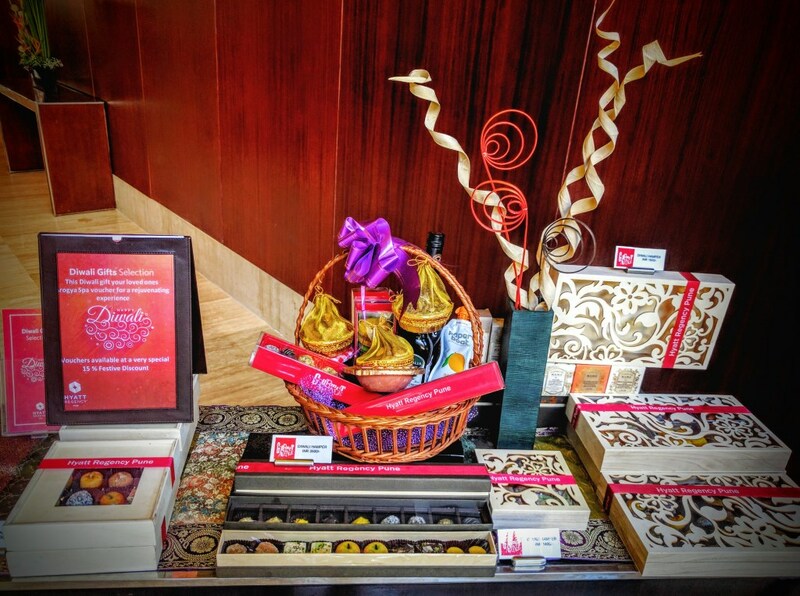 Conrad: The Conrad Signature Hamper start at INR 4400 plus taxes. 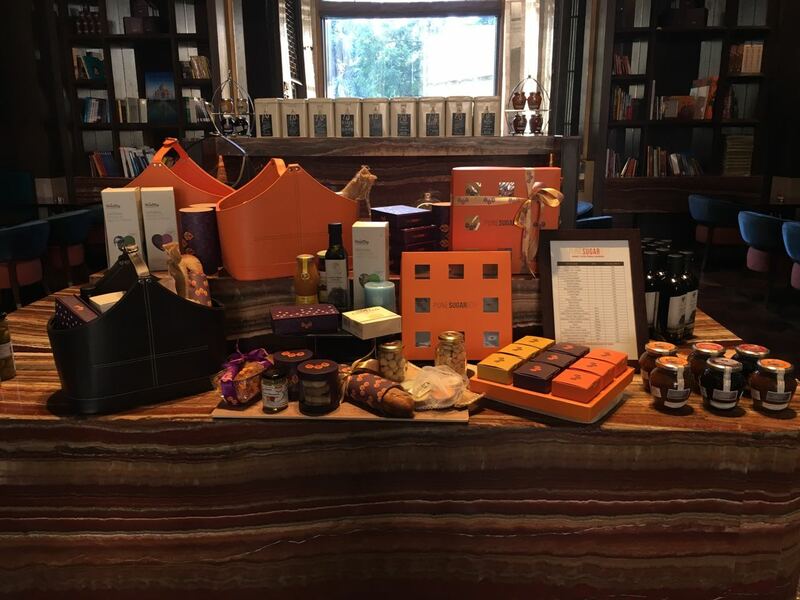 The hamper includes assorted gourmet food products like bakeries, confectioneries, dry fruits, a variety of cheese and chocolates. 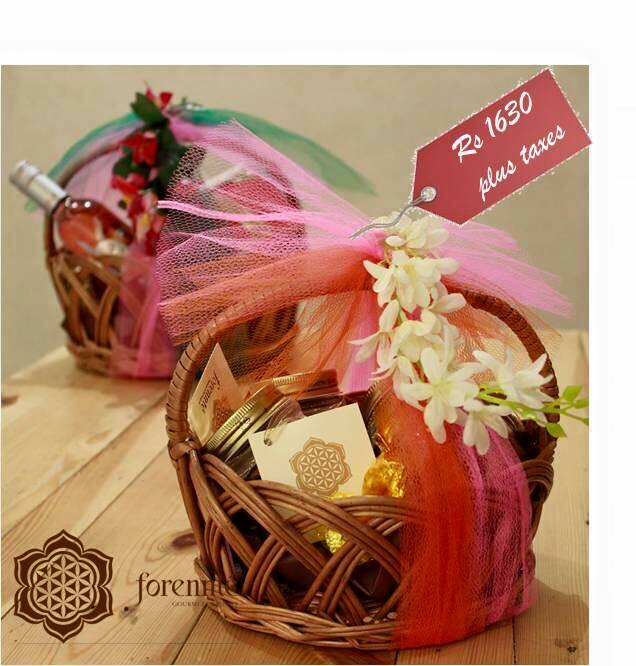 Guests can also create their own hampers. 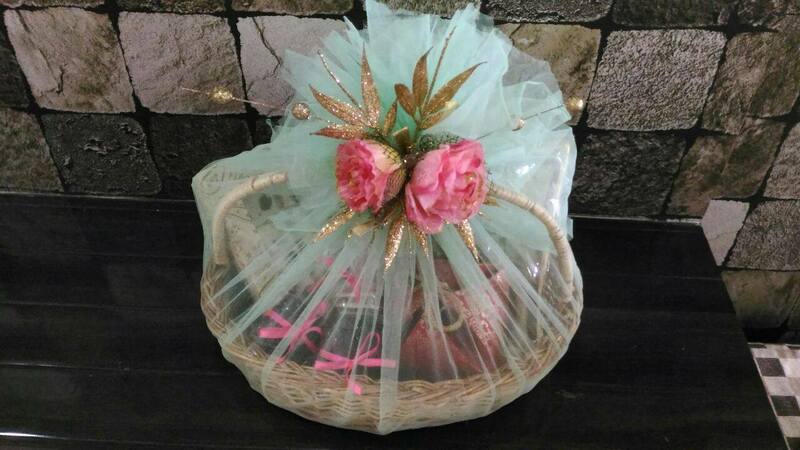 Pune Sugar Box provides a choice of two colors for the hamper baskets. 5. 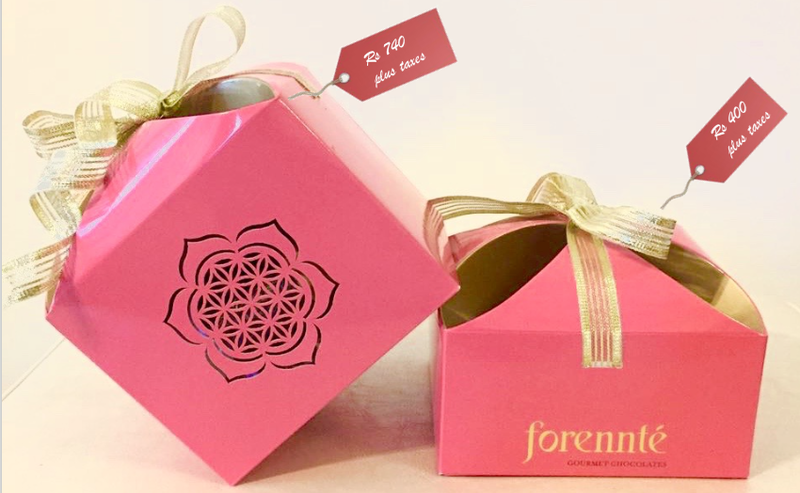 Forennte: Who doesn't love chocolates? 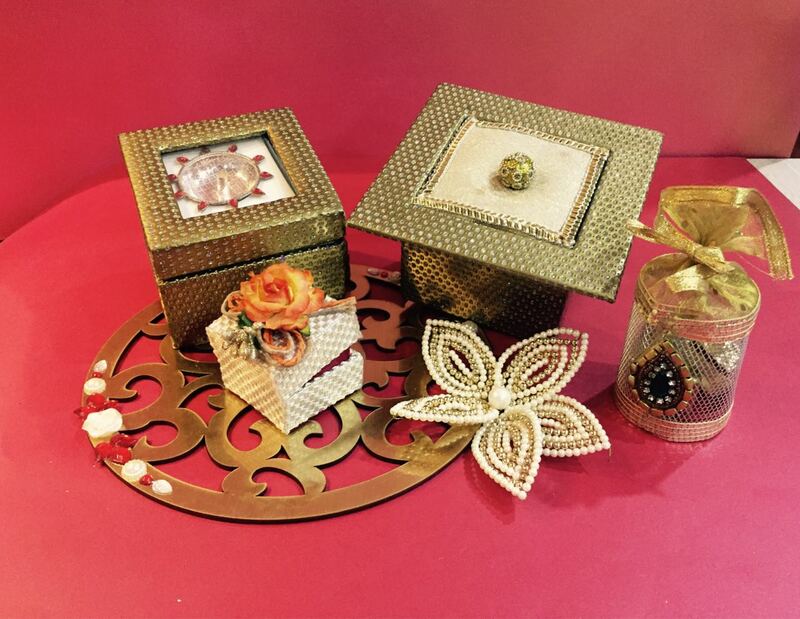 Gift some in style this diwali. 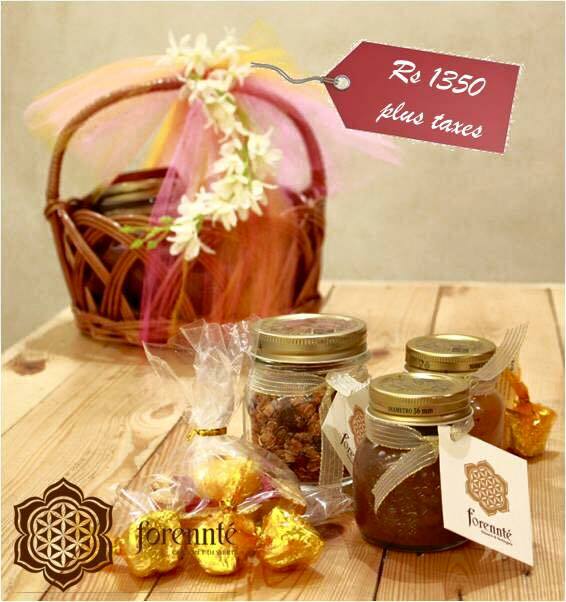 Namrata at Forennte, Koregaon Park will be happy to assist you with the choicing. 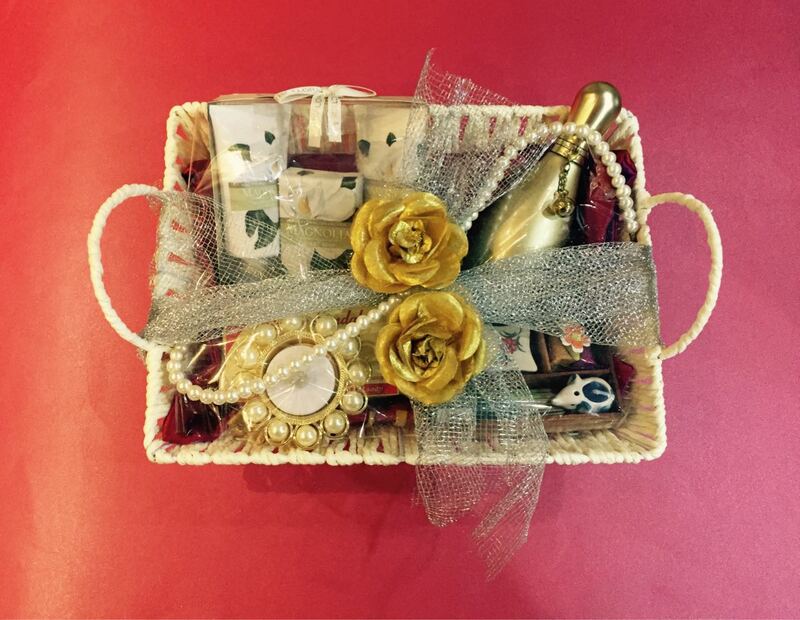 The Diwali gift hampers with an assortment of Gooey Fudges, Roasted Almond Rocks, the best ever Salted Caramel Sauce, Home made style Hazlenut spread and Granola in glass jars - All set to go out and bring a smile on beautiful faces! Range starts at Rs. 400 only. 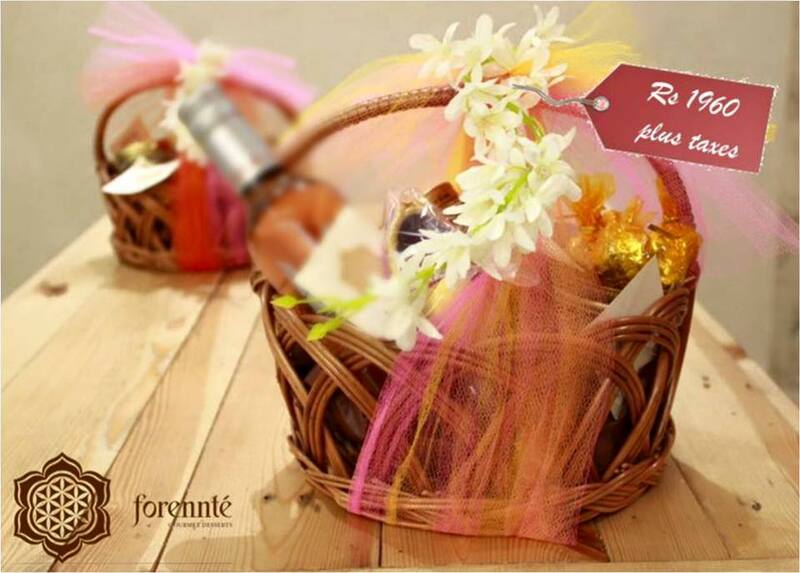 Forennte can be reached at 2, Princeton Flair, Lane 8, Koregaon Park, Pune. 6. 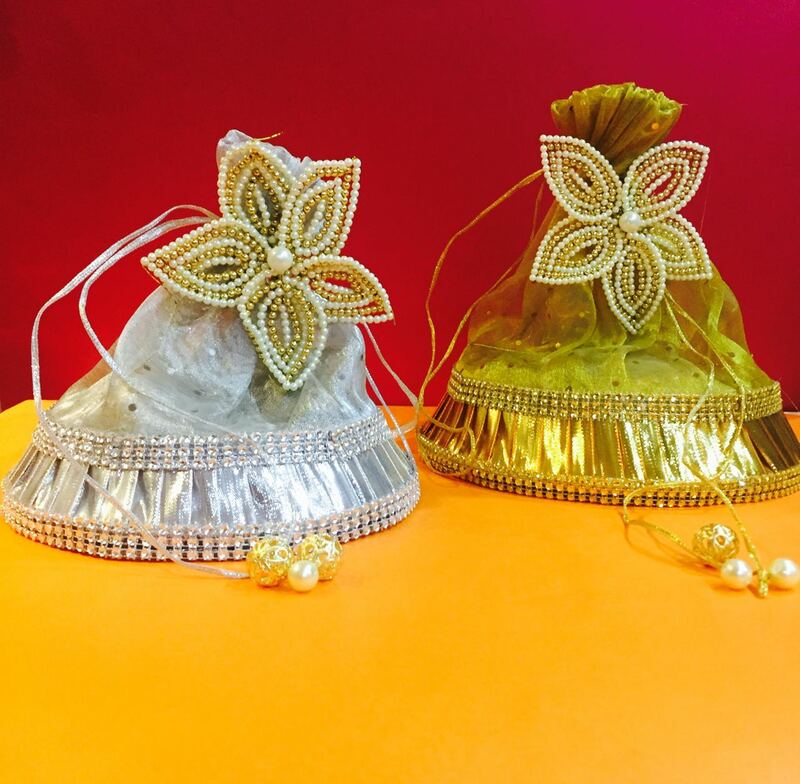 Roots by Ritika: Love going organic? 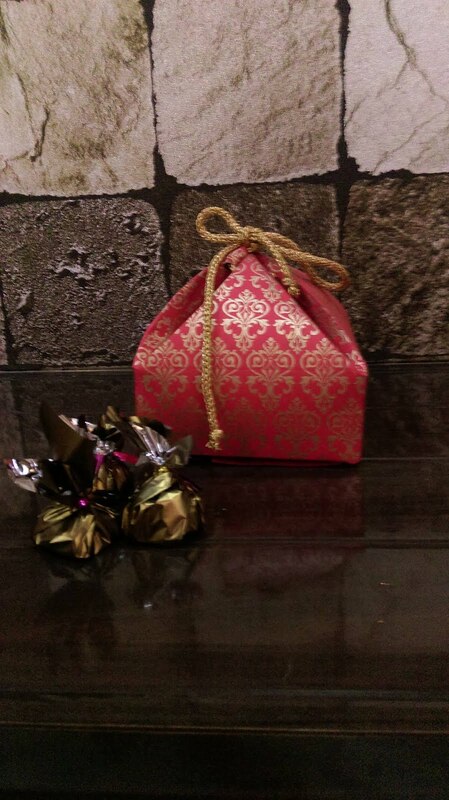 Try some amazing eats at Roots by Ritika..
Granolas: 750g at Rs.899 in a cute brown paper bag. 7. 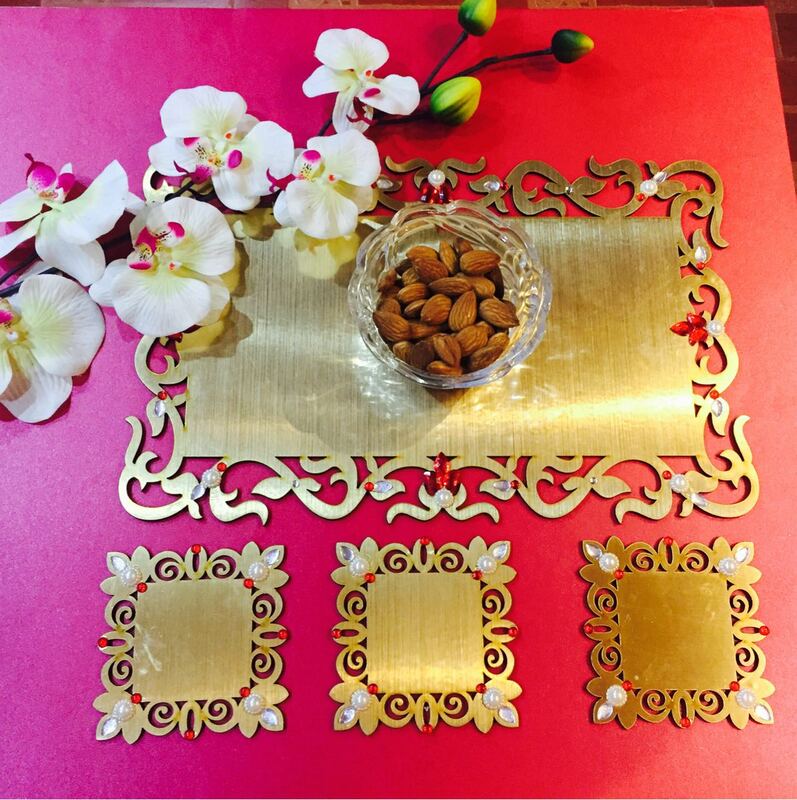 The Gateway Hotel, Hinjawadi: Traditional to Royal! 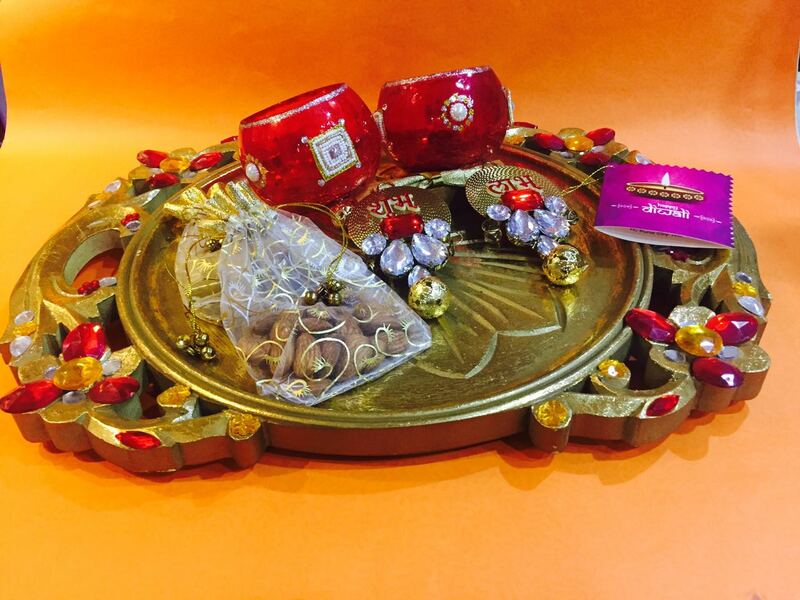 Chocolates, Dry Fruits, Wine and Spa Vouchers on the go. Pick fast, before its gone. 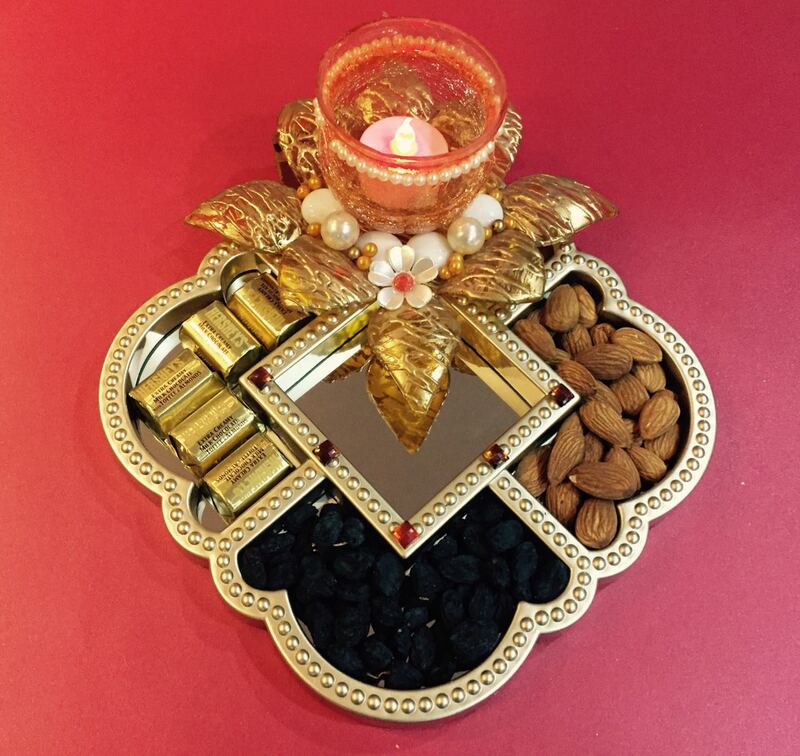 Chakali/ karnji/Shankarpali, Sweets ( Pista barfi & Kalakand), Decorative Candles and Scented Diyas, Pistachios whole without shell, Whole Almond and Walnuts. 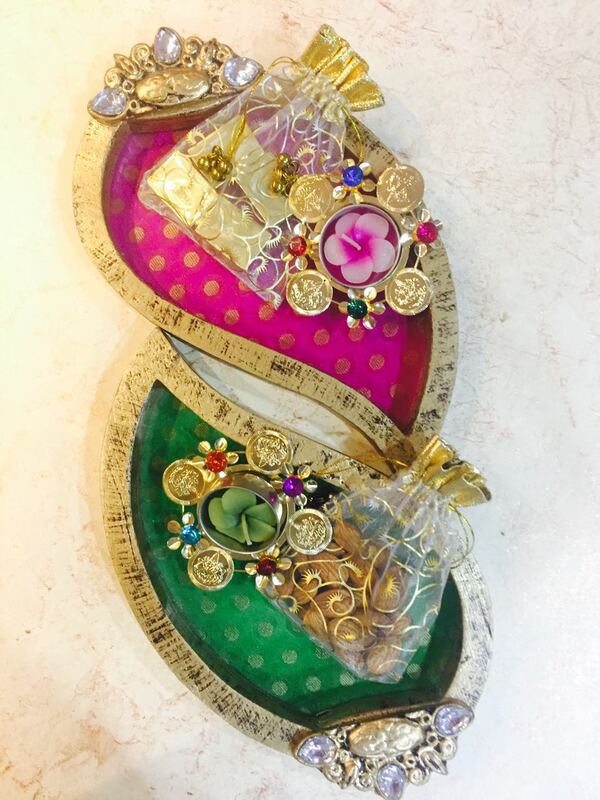 A professional fashion designer, a passionate home chef who has love for chocolates and desserts, people, this is Priya for you. Staying at NIBM, Pune, the delivery is all across pune at a minimal rate or if you wish you can pick up also. 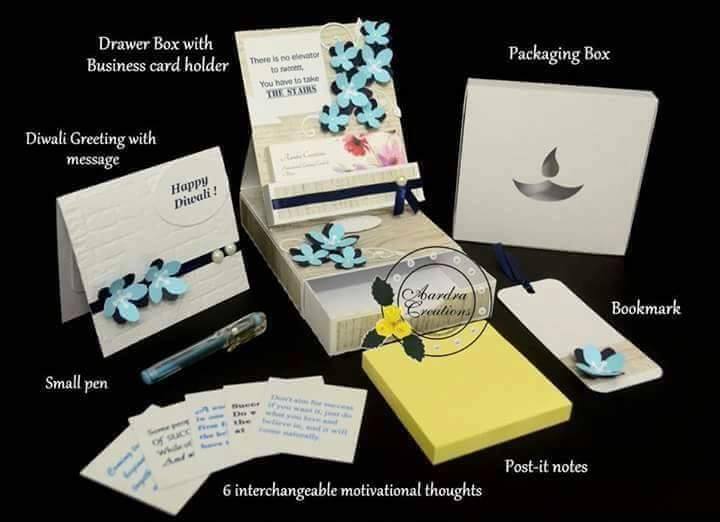 Book for customised gifts or corporate offers. 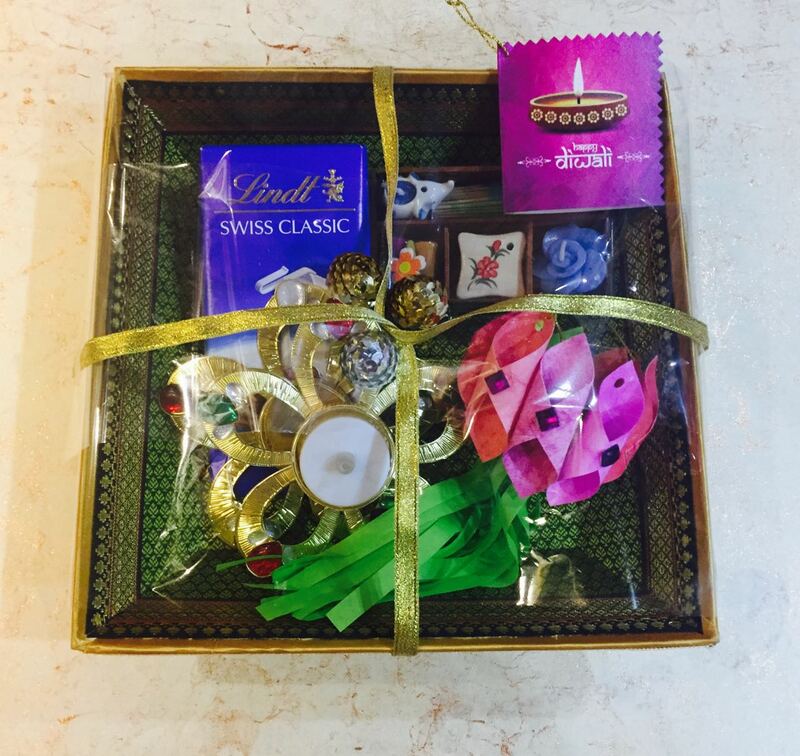 Mini hamper of Rs.350: 12 chocolates, 6 cookies, 1 brownie, 1 candle or diya. 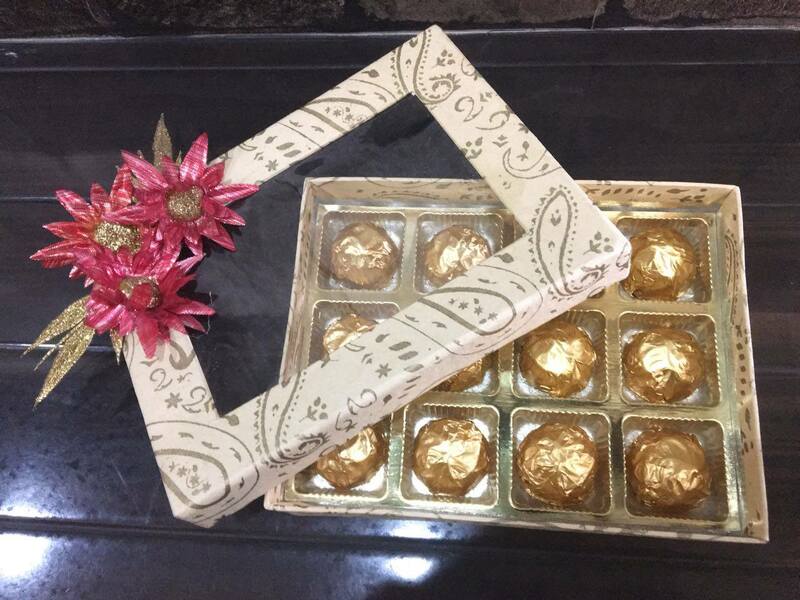 Hamper at Rs.1700: 12 chocolates 6 mendiants (exotic chocolates) 6 pcs of fudge, 6 truffles, 2 brownies. 11. 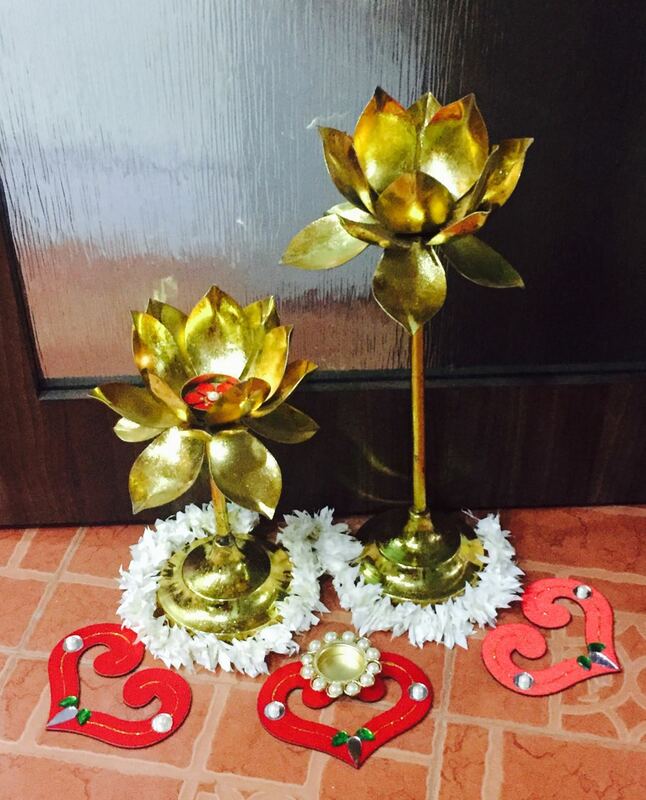 Aardra Creations: Doctor by profession, love for crafts, made Priyanka left her job and indulge full time towards her love for crafting. 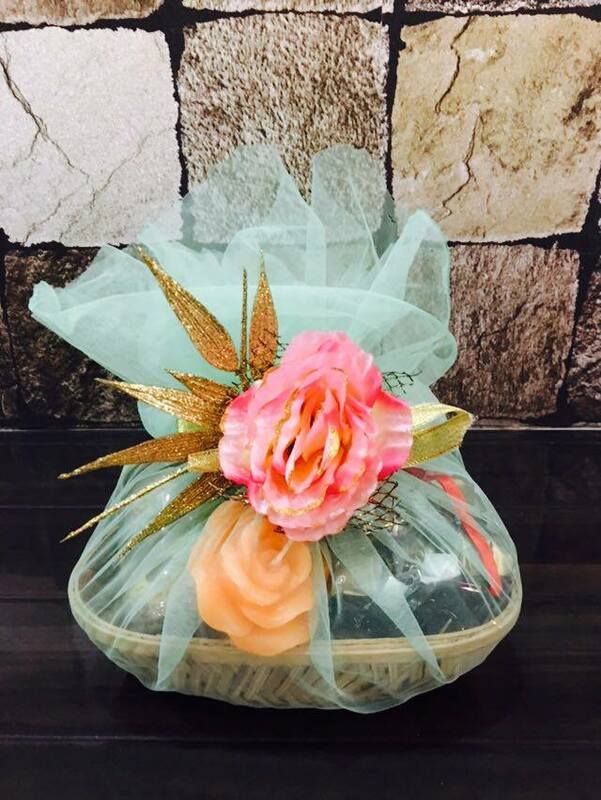 You can look out for her website and facebook page with the name of Aardra Creations. 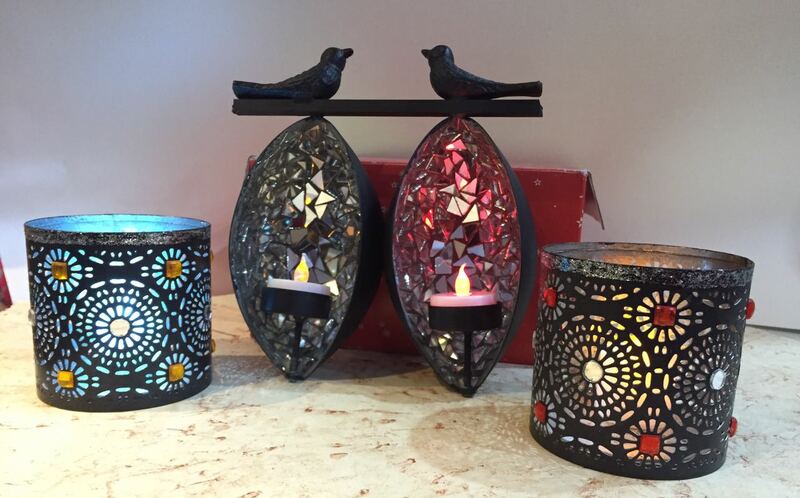 The products are available to ship India wide. 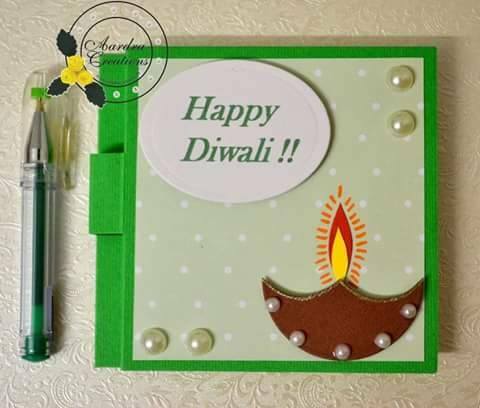 The perfect gifting solution for your loved ones this Diwali - 'Handmade Stationery Set'. Lively enough to add spark to one's mundane office routine.. 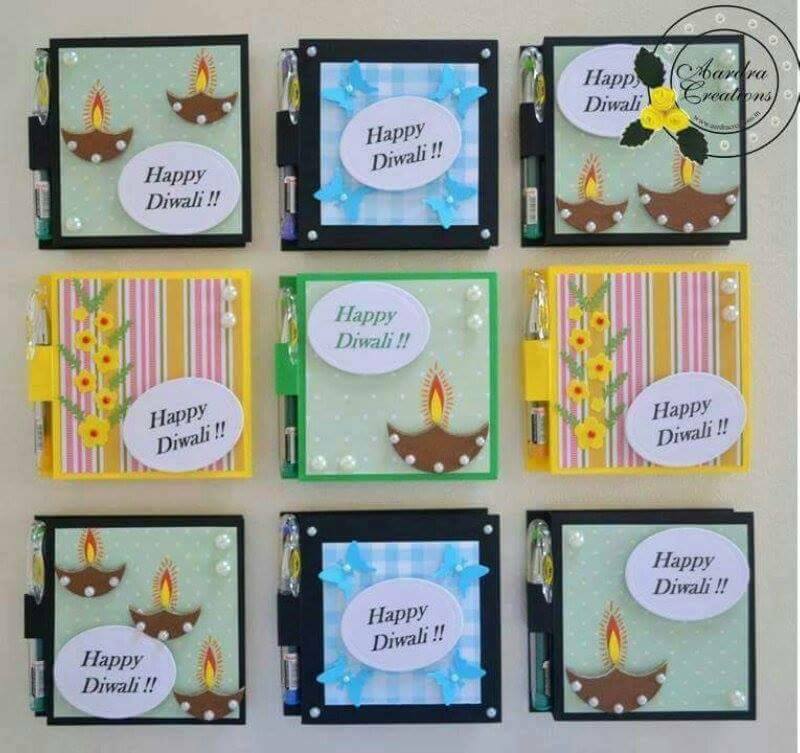 Handmade post it note holders with a small pen and a personal message inside @ ₹100/- per piece , shipping extra. Aren't they pretty? 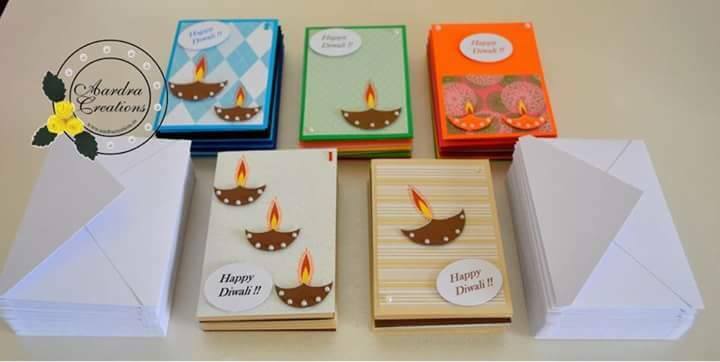 Standalone business card holders @ ₹60/- per piece (bulk quantities only) shipping extra. So cute! 12. 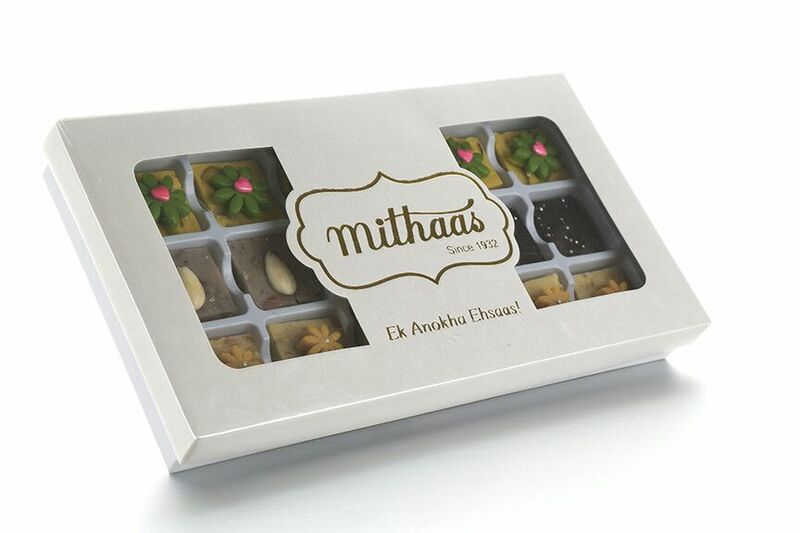 Mithaas: Hand crafted Indian sweet shop, not like the regular ones. Located at Laxmi Road, Mithaas is one of the oldest shop. 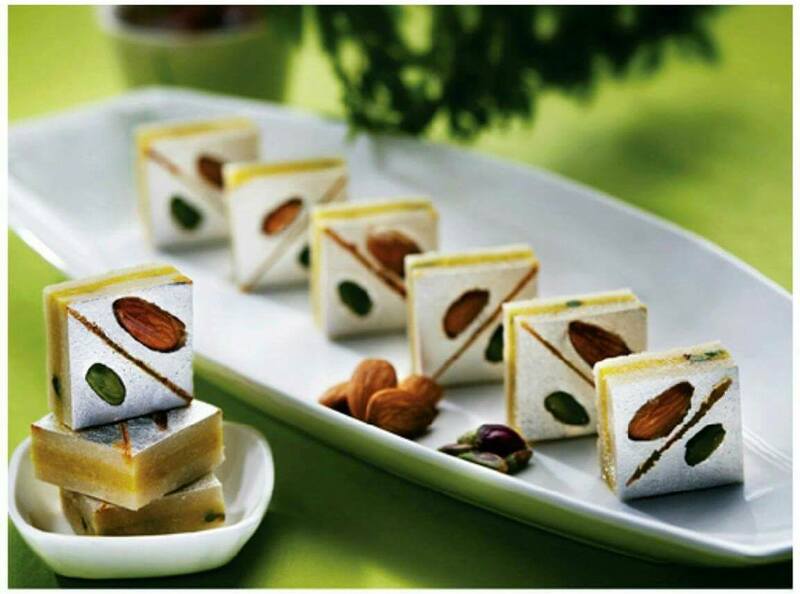 They have sweets made of Turkish apricots , oranges , coconut , chocolates , walnut , cashewnut, almond , fig, kesar , happy nut, California almonds. It is totally fresh and delish! 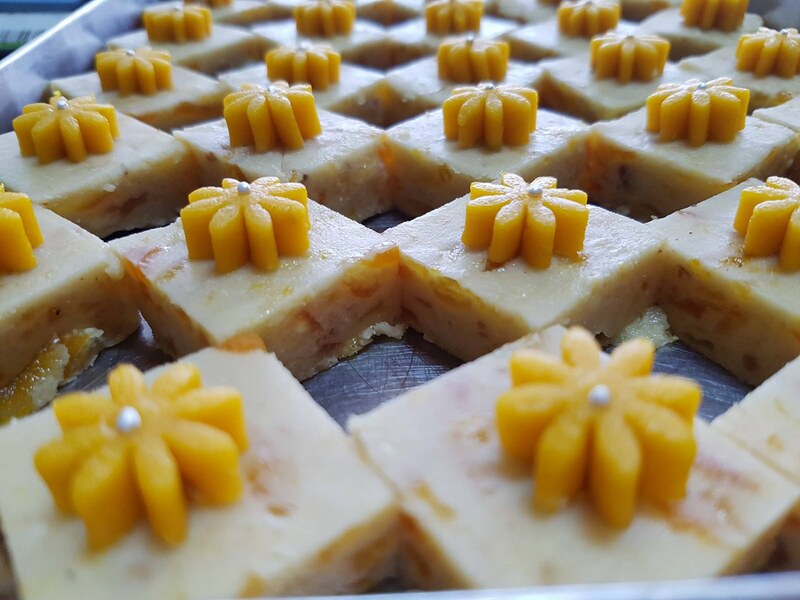 Have you tried any sweet without mawa? Here it is, totally hygienically prepared without mawa. 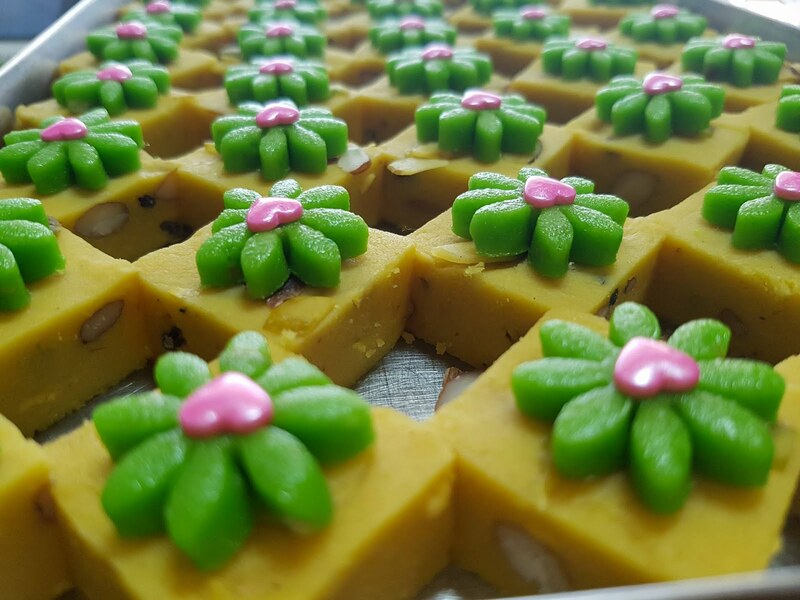 Cashew based incorporated with exotic fruits. Try their diffferent combinations of mithais at Rs. 1500 per kg inclusive of taxes.